It was an extraordinary chat ~ rapid fire comments: averaging one tweet every 6 seconds for an hour ~ as old and new participants joined #gtchat to discuss the veracity of labeling gifted children. In the end, there were many good points made on both sides of the debate; the need to label and the negative consequences of labels. No one seemed to think labels were ‘simply wrong’. It was also obvious that it was a topic of interest for many newcomers to chat as was evident when our hashtag began to trend … across the U.S. and in Canada and in Australia! The full transcript can be found here. 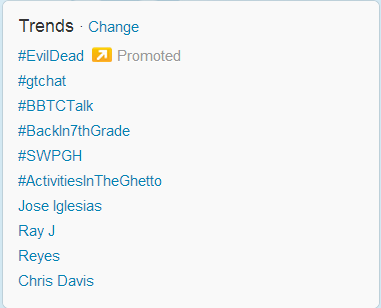 The final minutes of #gtchat was filled with several exciting announcements! On April 19th, #gtchat will be LIVE from the Pennsylvania Association of Gifted Children’s Annual Conference in Pittsburgh at a special time, 3PM to 4PM EDT. Our guest will be Jerry Blumengarten ( @cybraryman1) who was an early mentor to Deborah Mersino, founder of #gtchat, when she was starting the new chat on Twitter. Jerry is also a co-moderator of the popular #edchat on Twitter. As curator of Cybraryman.com, he has built an incredible educational portal site for students, parents and teachers. On April 26th, #gtchat will welcome representatives from Gifted Homeschoolers Forum to introduce their new brochure, Educators’ Guide to Gifted children, written to be used as a tool for those who are working with educators who need to know about giftedness, gifted children and twice-exceptional children. #gtchat is proud to announce an upcoming interview with Dr. James Webb on “The Misdiagnosis Initiative” begun last year by SENG (Supporting Emotional Needs of Gifted). The interview will appear on this blog. A follow-up #gtchat will occur on May 10th at 7PM EDT with representatives from SENG. Do children need to know they’re gifted? Does the ‘Gifted’ Label Get in the Way of Developing Real Potential? 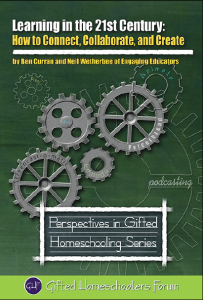 On January 25, 2013, Global #gtchat was pleased to host special guests and authors, Ben Curran and Neil Wetherbee from @engaginged. Their soon-to-be published book, Learning in the 21st Century: How to Connect, Collaborate and Create, from Gifted Homeschoolers Forum was the topic for discussion. It was announced by Corin Goodwin, Executive Director at GHF, that the book would be released on February 18th. It will be available from Amazon and Barnes & Noble as a book and also in Kindle and Nook formats. Participants joined us from 14 states and 5 countries! A full transcript can be found at Storify. Post Script ~ Global #gtchat celebrated its 3rd Birthday on January 22, 2010! Take a look at the transcript from the 2nd chat on the very first day here. Special thanks to Deborah Mersino for having the foresight to start our chat! Engaging Education: 2013′s Hottest Trend? Regional Connections: 2013′s Other Hottest Trend?